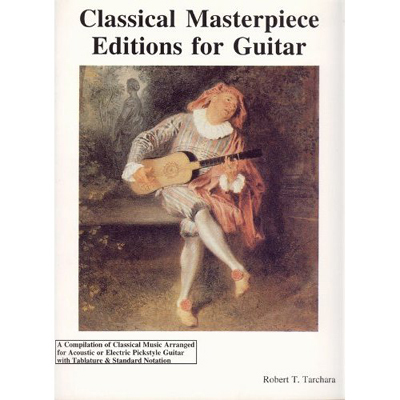 A compilation of Classical Music arranged for Acoustic or Electric Pickstyle Guitar with Tablature and Standard Notation. Written in the Baroque, Classical and Romantic Eras. is only available from Santorella Publications.